Keeping the original Archon’s lush gain and remarkable clean channel, the Archon 50 adds several options that make this amp a whole new tool for musicians of all styles. Available with a half-power switch, as a head or a 1x12 combo, and with the choice of powerful 6L6 or classic EL34 power tubes. 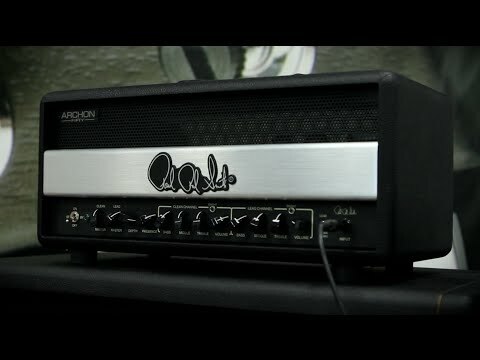 The added option of 6L6 or EL34 power tubes allows players to further personalise the tone and feel of the Archon 50. 6L6 tubes offer plenty of versatility and warmer, more balanced tone across the full range of frequencies. They will also push with less saturation for a bit of a sweeter, smoother tone. EL34 tubes offer focused, tight, punchy gain. They run a little hotter, distort earlier, and deliver a wider range of overdriven, crunch tones that are great for rock distortion.